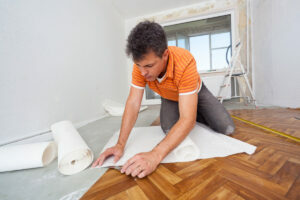 So you’ve decided that you are immune to the DIY madness sweeping the nation, and you’re ready to hire a contractor to finish your home improvement project or major renovation. What ever level of work you require, there are different contractors and professionals you need to consult with before hiring one. Here are a few ideas on what to look for as you get ready to pay the pro to get your project finished. Do you know a friend, relative or coworker that has had a similar project done? Ask him or her who they used, if they’d recommend them, and how much the contractor or company cost. Personal recommendations can always be trusted more so than online reviews. If it sounds like a good fit, reach out to them. Being referred by a past client can also get you a discount, or a kickback for the person who referred you. If you’re starting from scratch, a safe place to start is always Google. You can search by project type, like “plumbers” or “basement finishing” or “landscaping” in your zip code, and search that way. You can also use online directories, like Angie’s List or the White Pages to look up local businesses that specialize in what you want to do. Also, make sure to look up the company on the Better Business Bureau’s website, to ensure no claims have been made against them. When you find a person you’d think would be a good fit, schedule a time for them to come and give you an estimate or get a feel for your project. This will be a good time to meet the person and make sure you’re comfortable with them. Before you meet him or her, have a tough budget in mind. Don’t be wishy-washy and say, “Well how much do you think it will cost,” or “We were hoping to stay around $x.” Be firm, and know exactly what you’re willing to pay. Do your research though, and don’t lowball or be cheap. Just come in with a fair offer, and if you can’t come to an agreement, it’s time to talk to a new contractor. If you find a contractor you really like and who gave you a reasonable estimate, do not hire them on the spot. Continue to interview a few other candidates, and get a well-rounded view of the options out there. It’s perfectly fine to accept the first offer and work with that contractor, but it’s not always a good thing to leap at the first opportunity. If contractors know there is competition, they will put their best foot (and offer) forward. If you decide to hire a contractor, make sure you understand everything: the time until completion, the exact work provided, the warranties or exemptions, when pay is expected, etc. If the contractor is truly professional, they will already have a contract or agreement in their paperwork. Hiring someone to do work on your home is a big step, and it can often be intimidating if you’ve heard a lot of horror stories. In the end, if you do your homework and are willing to pay a true professional, the work will be done with minimal headache.